These photos and instructions were put together by Stelleria from Fern and Faerie – thank you Stell! 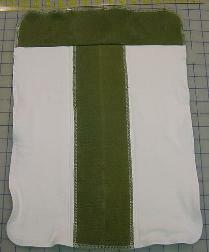 For this project, you will want to use a ball-point or universal sewing machine needle, so you don’t punch holes and cause runs in your fabric. A size 80 or 90 will do the trick. Cut 4 pieces per diaper. For a standard-size 4x8x4 prefold I cut mine 18?x18?. 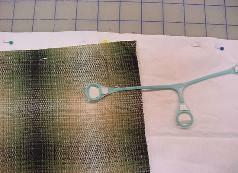 Go by the desired finished length, and use that measurement for the dimensions of your square. Take 2 layers and fold them in half, right sides out. Repeat with the other 2 layers. 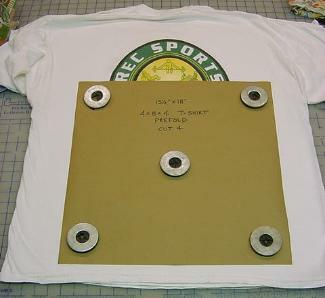 In the photo, the folded edges are both in the center. Overlap the two folded stacks so the overlapped part is the same width as the sides. 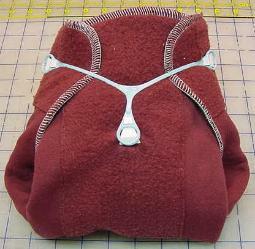 Pin along the folded edges, and then topstitch close to the folds on both sides. 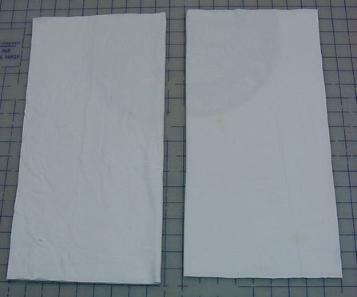 Cut a piece of Snappi-able fabric the same size as your diaper. Layer this over the diaper and pin. 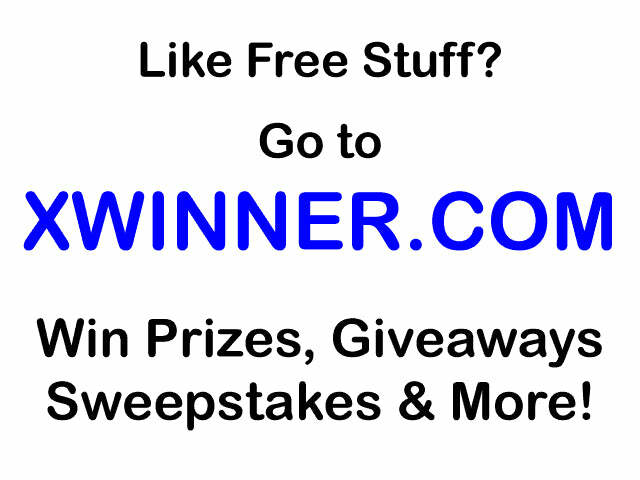 Loose weaves, terry-cloth, the wrong side of sherpa, or pique knit are usually Snappi-able. Serge around the edges, rounding off the corners. 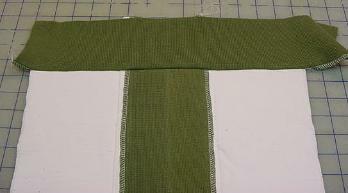 Alternately, you can straight-stitch around the edge, then zigzag to overcast the edges. 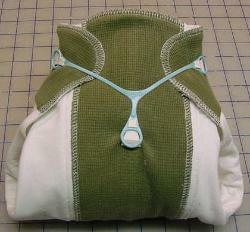 If you don’t want to back the whole diaper with Snappi-able fabric, you can conserve fabric by using strips. I cut mine 3.5? wide, serged the edges, and sewed them in place using the illustrated steps. 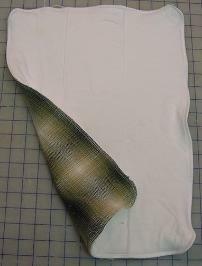 This diaper was made using a waffle-knit shirt for the Snappi-able fabric. 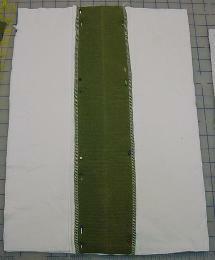 Pin the center strip in place, then topstitch. Lay top strip out in flipped-down position. Pin & sew the seam. Flip up, pin & trim. With slight variations, you can make your prefold stuffable. 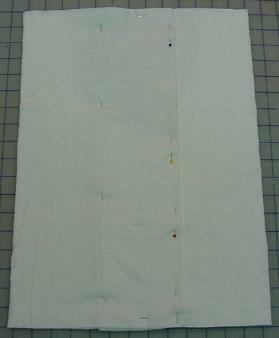 This is good for customizing absorbency, conserving fabric, and shortening the drying time. Make a 2x4x2 prefold (only two squares are used, rather than 4). Serge across the top only. 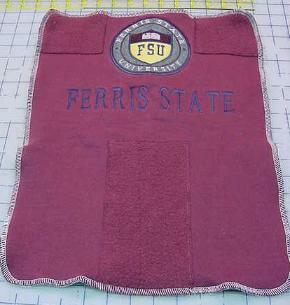 Cut your backing piece from a Snappi-able fabric. Serge across the top of that. 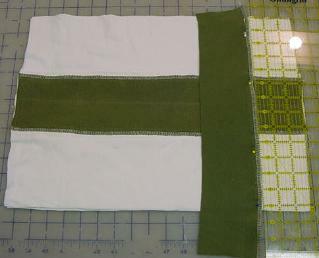 Layer your prefold and backing pieces, with the serged edges at the top. Pin together. Serge around the edges, beginning 1? to the outside of the center overlap and ending in the same place on the other side of the overlap, leaving an opening about 6" wide along the top. 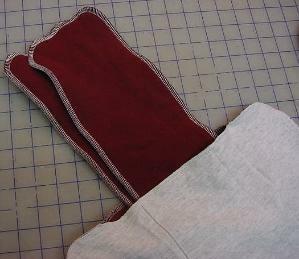 Use the sleeves of your Snappi-able shirt, or another suitable garment to cut your soaker pads. I made mine 2-layer, 4?x15?. Serge around the edges. Sometimes you may find a shirt with something you’d like to show, but the fabric isn’t Snappi-able on the right side. In this case, you can sew patches of Snappi-able fabric at the top corners and the center bottom before layering and serging.